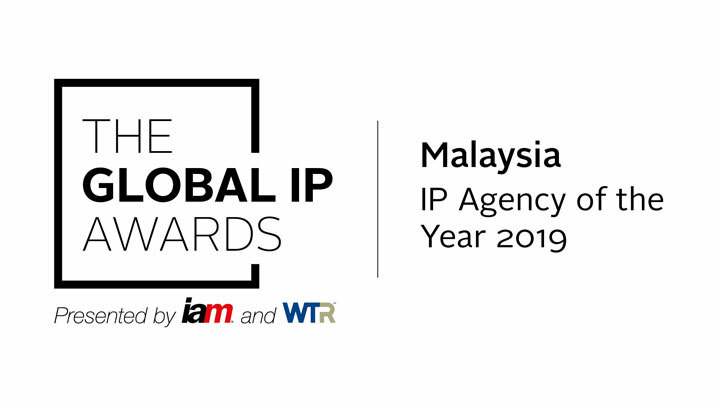 It is with great pleasure that we share the news of our firm being selected as the recipient of “Malaysia IP Agency of the Year 2019” at the inaugural Global IP Awards, among a prestigious pool of nominees from more than 50 countries. The Awards, handed out on 29 January 2019, recognise outstanding achievement in IP litigation, prosecution and transactional work. In reaching its decision, the IP Media Group identified the IP agencies and law firms in their IAM and World Trademark Review (WTR) guides that achieved remarkable success and considered what the market was telling them throughout the year before. We are both honoured and delighted with this added feather onto our cap. It is a true testament of the continued trust and confidence our clients have bestowed upon us to protect and prosecute their IP in Malaysia. Such an achievement was also made possible only by the hard work and dedication of our able team of IP professionals and staff. Three loud and warm cheers to our entire HG team! Last but definitely not least, do allow us the opportunity to record our heartfelt thanks to all our clients, associates and peers for sharing this journey with us. Your trust in us will surely steer us to greater heights in years to come.